Spain was hit hard by the global financial crisis of 2008, but the country’s business schools are on a roll, with applications holding steady, job prospects buoyant and an entrepreneurial scene that is thriving. 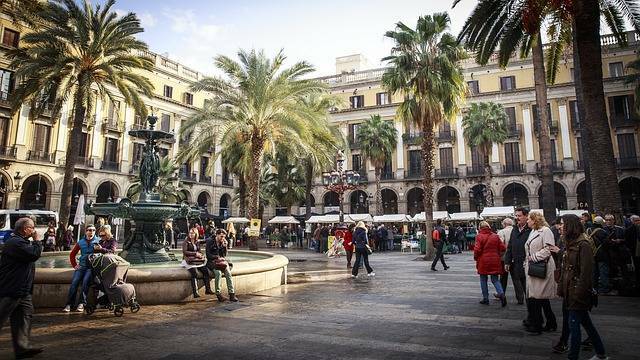 IESE Business School in sun-drenched Barcelona says there has been an increase in quality applications over the past several years — the school added two new sections to its MBA cohort, in 2012 and 2016. The big change for Spanish schools has been the type of MBA candidate flocking to the country since the economic downturn. “It is undeniable that the proportion of students entering financial services has dropped from pre-crisis levels,” says IESE MBA admissions director Pascal Michels. Despite Spain’s high unemployment rate of 16 percent as of February 2018, IESE has a 92 percent employment rate for its full-time MBA candidates. Each year roughly a quarter of graduates pursue employment in Spain on graduation. He adds however, that high levels of unemployment put pressure on wages and that overall MBA pay tends to be higher in full-employment economies like Germany. The median base salary for IESE’s MBAs who worked in Spain was $65,000 in 2017, the latest year for which data are available, lower than the $79,000 salary for graduates globally overall. But one upside has been the growth of Spain’s entrepreneurial scene, arguably the most influential and prosperous employment alternative in the nation. After the economic crisis, the Spanish government has been dedicated to helping the entrepreneurial ecosystem flourish more rapidly. Laws such as the Entrepreneurs Act were passed, which opened up a wide range of visas for highly-qualified foreign entrepreneurs, investors and other professionals. 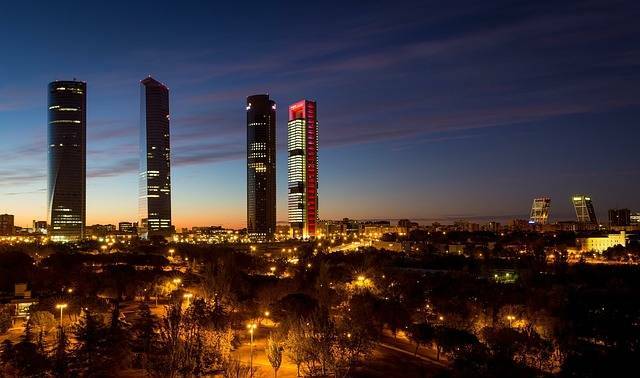 “For the last few years, Spain’s startup ecosystem has been growing fast and many business incubators and accelerators have emerged,” says Tino Elgner, senior associate director of admissions at IE Business School in Madrid. Founded by entrepreneurs in 1973, at IE 1500 students are trained in entrepreneurial management every year. MBAs are given the chance to flesh out their startup ideas through mandatory core courses such as “Entrepreneurial Mindset” and “Entrepreneurial Venturing”. But most of the magic happens in Area 31: IE’s hub for entrepreneurial activity. It offers students resources, materials and training that can help them become successful business founders. In fact, 25 percent of alumni go on to create their own company over the course of their professional career. But, according to Elgner, the greater shift is the motivation of entrepreneurs; they want to have a positive impact on society or the environment. “This notion might have a lot do with why more and more young professionals are fascinated by the idea of starting up their own business or bringing change to existing companies through the entrepreneurial mindset,” Elgner says. In addition to Spain’s startup credentials, prospective business school students find the opportunity to learn the local lingo alluring. Knowing Spanish is essential for getting a job in the country and, with 400 million native speakers, it is the second most-used language globally behind Chinese, according to the British Council. So it will serve an MBA candidate well in many different nations, particularly emerging markets such as Latin America. Back in Barcelona, those studying for the full-time MBA at ESADE Business School learn entirely in English, but those without a basic command of the language are required to take a Spanish course. “It gives them the opportunity to learn basic Spanish, providing them with the tools to communicate in everyday life situations,” says Luis Vives, associate dean of the ESADE Full-Time MBA. “For those students who would like to improve or brush up on their language skills, we offer the opportunity to take advanced and voluntary Spanish courses. Despite a flourishing jobs market and entrepreneurial ecosystem, one question for Spain is whether a disruptive political climate will impact business education in the country. Business schools previously feared that the Catalan independence vote could have led to a fall in applications, with some prospective MBA students concerned about tensions on the streets in Barcelona. It is too early to tell what the impact will be, if any, but many candidates may decide Spain’s merits far outweigh its drawbacks.